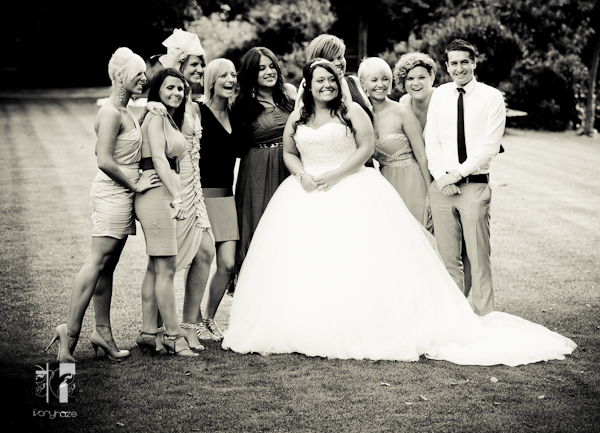 Ivory Haze Weddings – Why Choose Us? We don't just do Weddings. 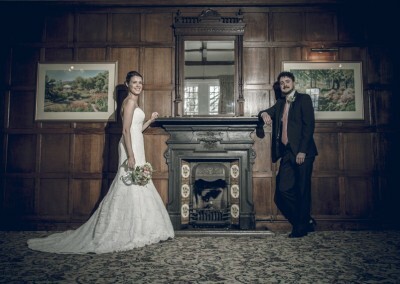 Having photographed in fashion studios, filmed for internationally renowned DJ’s, made feature films and music videos – we draw on a rich and exciting array of creative influences and styles not usually associated with weddings. Whilst we have fantastic print partners, who offer wonderful albums, and wall pieces, we believe your photos should belong to you, and therefore we will give you digital copies which you can print as you wish. In this digital age, we all hear horror stories of computers crashing and work being lost – which is why we backup in multiple locations to ensure your work stays safe. Weddings are expensive. This is why we offer packages that suit every budget, from simple photography covering just the service, to feature length wedding films. If you’ve ended up here, then either you are just curious, or some congratulations are probably in order! If you are indeed getting married, then we offer our hearty congratulations to you. So… now it begins. Planning a wedding is pretty much a full time job in itself. From deliberating over the decorations to finalising the favours – right up to (and including!) 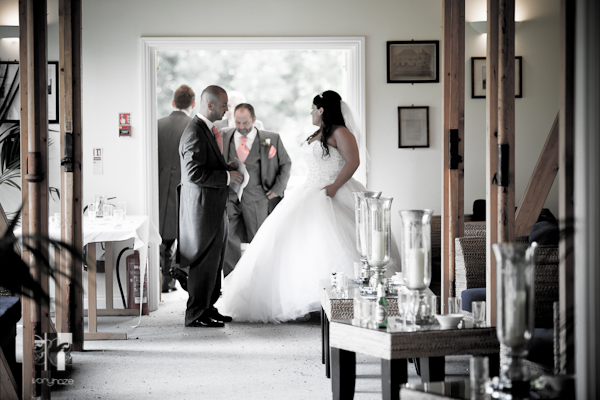 the day itself, there is lots to do, and finding the right photographer(s) for your day is a crucial part of having everything run smoothly. If you are joining the ever increasing wave of couples who want a professional video to remember your day by – on top of the cake, dress, rings, food, drinks, transport and venue, the costs inevitably start piling up, and this is where Ivory Haze come in. 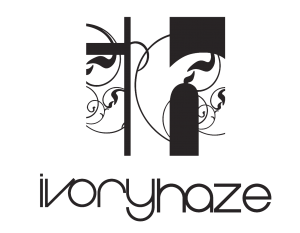 The photographers at Ivory Haze learned their trade in a professional studio environment, and this experience made the initial transition to wedding photography a fun one for Ivory Haze. Whether you choose us, or not. There are many different photographic styles. Some Photographers prefer to shoot very formally, others like to push the creative boundaries, and produce very abstract work. Some follow a more documentative approach, whereas others like to get more involved and directly control the photos they produce. We belive that you should be the focus of the day, and not your photographer. 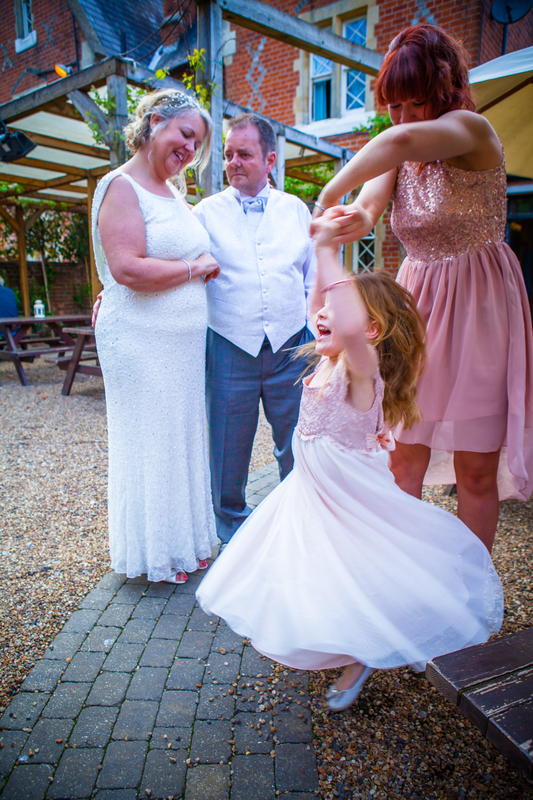 We like to control certain elements of the day to ensure we get any group shots that you want – but other than that, we want you to enjoy your day, secure in the knowledge that we are candidly capturing all the important moments. 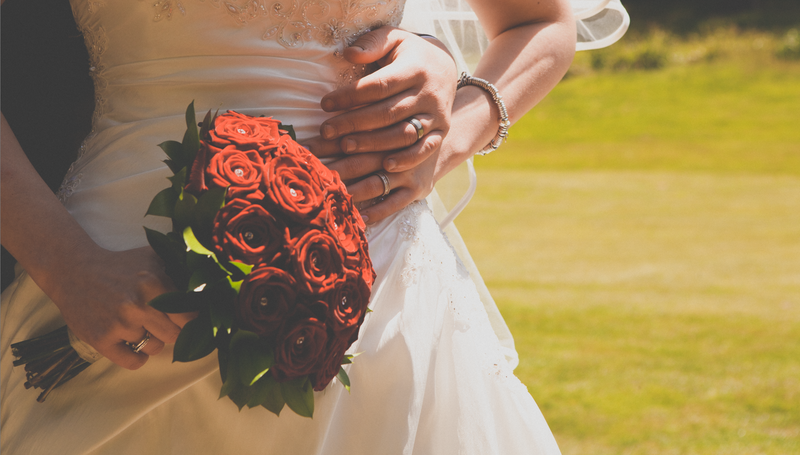 Does your Photographer have the correct equipment to shoot a Wedding? Do they have a backup system in place to prevent images being lost? Do they own, or rent the equipment they use? These are all considerations you must make to ensure that your mind is at ease before the Big Day. There are many things that you can do to make sure that your photographer has all of the information that they need to get the best out of your day. Ideally you should speak with them regularly via phone or email if you have any ideas or concerns, this way they can update their notes and ensure they are working to your latest specification. We own all the equipment that we use, We service it regularly, and look after it all like our life depends on it (Well, our livelihood does!) We shoot digitally on state of the art equipment, and all of our work is backed up to two locations. When taking price in to account you must consider two things, firstly what you can realistically afford, and secondly – whether what you are getting is value for money. If it sounds too good to be true, that might just be the case. We have pricing stuctures to suit every budget, and we refuse to compromise on quality. We vary the time we are working, and not the quality of the work that we produce. With the recent advances in technology, more and more people are taking advantage of affordable professional, and semi-professional equipment. The sad truth is that many do not know how to use it. A very easy market for these photographers to get into is the Wedding Industry – as their clients are not marketers, or Advertisers who know what they are looking for, but are instead honest, vulnerable people. There are hundreds of fantastic Wedding Photographers in the UK, and you need to have the confidence that your photographer is one of them. 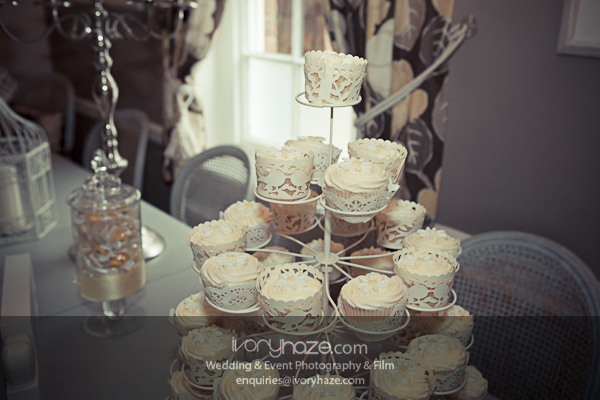 The Head Photographer at Ivory Haze is present at all Weddings. He has years of professional studio photography experience, and his work has been in publications throughout Europe. With Hundreds, if not thousands of shoots to his name, he ensures that all of the work produced by Ivory Haze is up to his high standards. How easy is your photographer to get in touch with, and how well do you get on with them? If you love their portfolio, but you can’t get on with them in person, or it feels uncomfortable – then this is a ticket to disaster. Any negative vibes you have can be enhanced with all that is going on in the big day. It is vital that you have absolute full trust in whoever is standing behind the lens. Whenever we agree to photograph a wedding, we give out direct contact details and email addresses that can be reached whenever you need us. If there are any last minute changes, or you have any queries it is imperative to us that you are able to communicate these to us as quickly as possible. In addition to the communication with your Photographer, you should also consider your relationship – Is this a friend who would otherwise have been invited as a guest? Do you have a friend who is pretty handy with their new camera who you are considering asking? We try to avoid working at weddings with friends. Firstly the interaction between friends can be quite different and may make you feel uncomfortable. We have several other Photographers who we have worked with in past studios who we would be glad to refer our friends to. something we read about frequently in industry publications and forums. 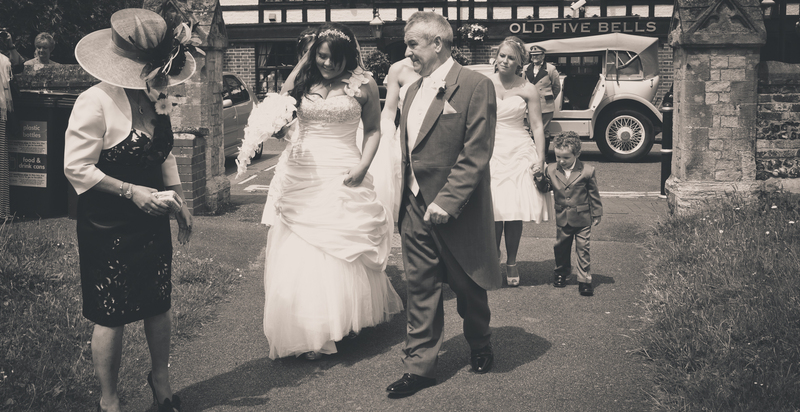 We would strongly recommend that you hire a professional who you can trust, who won’t feel like they are missing out on enjoying the day with you with the added responsibility of your treasured Wedding photos. What will happen after the wedding? When can you expect to get the Photos or Videos delivered to you? Do you get the rights to use the photos yourself? What happens if in 5 years time you lose your photos? Can they be recovered? We aim to turn around all work within a fortnight of the Wedding date. We also save all the work we produce on, and off-site – so even if something goes wrong in our offices, we can recover our backups. We do not delete any backups that we produce, ever. And what if it all goes wrong? If everything has been correctly prepared – this should never be the case. We have specialist insurance to offer financial compensation should such an occasion arise, however we know it isn’t about the money. We take care of our equipment, and take pride in what we do, so gladly this is not a scenario we have ever had to face.